Look around you and you see embroidered patches everywhere. Take a look at a NASCAR driver and you see the driver is covered in sponsor patches. Sponsors pay big bucks to get their logo on a driver’s suit. Think of all the companies, clubs and schools in your neighborhood who use patches. Start with the local fire/police departments all of whom like to buy local. Before the invention of computerized embroidery patches were made on giant Shiffli embroidery looms or made by hand on a zig zag sewing machine. The shiffl is 10 yards long and makes 340 patches at a time. This really puts a limit on the size of orders they could. Enter computerized embroidery. In the early 70’s these machines we starting to make headway in the American embroidery market. 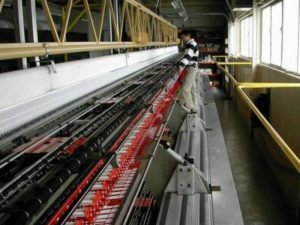 Northwest Embroidery installed the first commercial embroidery machines in the Pacific Northwest. This was actually the start of small order patches in the Pacific Northwest. The question begs as to how can I get a piece of the profitable market. The answer is very simple, you first have to get an order and then you are in business. Do I make the patches or purchase them from a manufacturer. Making small order patches on a single head embroidery machine is very easy. By accepting small orders you are building up your credibility to solicit the big orders. Look around you and you see embroidered patches everywhere. Take a look at a NASCAR driver and you see the driver is covered in sponsor patches. Sponsors pay big bucks to get their logo on a driver’s suit. Let us at Northwest Custom Apparel give you a few tips. Before the invention of computerized embroidery patches were made on giant Shiffli embroidery looms or made by hand on a zig zag sewing machine. The shiffli is 10 yards long and makes 340 patches at a time. This really puts a limit on the size of orders they could. Step one digitize the design that you want to make into a patch exactly and as close to customer artwork as possible. Remember to put a outline or cut stitch around the art work. Select a heavyweight twill you can purchase from any fabric store. Select a heavyweight fusible backing. Put the two together and you are in business. Embroider the design and when finished cut the patch out and it is done. To make it even more professional purchase some heat seal material and fuse it to the back of the finished patch. Then get a hot knife (soldering iron) and carefully burn out all the excess fabric around the finished embroidery. This patch will net you around $8.00 for minimum order of 6. Your next option for large orders is to get a relationship with a asian emblem company. This is really easy to do and once you establish a firm relationship you are in business. These companies generally have larger minimums (around 100). But the prices are competitive. 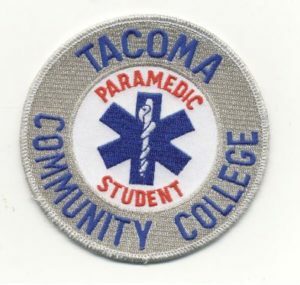 A 3 inch patch will run you around 65 cents and you can sell for $2.00 each. If you need help contact Northwest Custom Apparel and we will give you all the information you need. Good luck and here’s to making a nice profit.